A decade later, two overlooked Killing Joke albums get the reissue treatment. One the most intense and forward thinking bands to come out of the UK post-punk era, Killing Joke have been plying their trade for 27 years, and while their deep back catalog is not without its down moments (most notably, 1988's shambolic Outside the Gates), the great majority of their past releases have all aged rather well, and why wouldn't they? At their best, Killing Joke have always been powerful, challenging, and uncompromising, their music defying categorization each time out, but at the same time, the music has always had a broad appeal; going back to their classic debut single "Wardance", the band has fused punk, metal, industrial, ambient techno, trance, and even pop into a wickedly contagious hybrid that's as cathartic as it is catchy. The first five Killing Joke albums have always garnered the most attention (justifiably so) and their lauded 2003 comeback album generated a lot of interest, but it seems their '90s output has been largely ignored as of late. Cooking Vinyl Records seems to think the same thing, as they've just released two of the band's albums from the decade, fully remastered and complete with bonus tracks, and while not their most consistent work, Pandemonium and Democracy nonetheless offer glimpses of a veteran band still unafraid to experiment, and first-time listeners will be struck by how well many of the songs have withstood the test of time. A long four years after the release of the hard-edged 1990 album Extemities Dirt And Various Repressed Emotions, 1994's Pandemonium was a much more moody affair by comparison. By that time, members of the band had been involved with numerous side projects: bassist/producer Youth had been delving more and more into electronic music (not to mention performing on Kate Bush's timeless The Hounds of Love), while singer Jaz Coleman had been deeply immersed in Middle Eastern music. 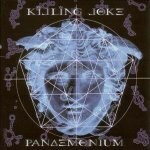 As a result, the album not only packs the kind of massive wallop Killing Joke had long been known for, but is especially rich in tone, Youth's production adding a valuable neo-industrial/ambient element, with Coleman contributing more of a world beat feel to the music (to the point where his vocals were recorded in the King's Chamber of Egypt's Great Pyramid). The first half of the album is absolutely thunderous. Blending in perfectly with the popular industrial sounds of Ministry and Nine Inch Nails, Pandemonium doesn't so much as pander to the then-trendy industrial crowd, as much as expand the genre's musical palette considerably. The title track boasts a massive tribal stomp and a gargantuan riff by guitarist Geordie Walker, as Coleman does what he does best, prophesizing the coming apocalypse, and sinewy guitar fills add a more exotic element to the song. "Exorcism" is every bit as vicious as "Pandemonium" is stately, a seven and a half minute explosion of industrial-fused rage, Coleman commanding in his Lemmy-esque voice, "Watch the ugliness rise... Let it out, let it rise," punctuating the verses with vulgar hacks and coughs. The ominously catchy "Millenium" was the one song that generated modest airplay in the United States (a rarity for Killing Joke), while the epic "Communion" is laden with Egyptian accents that mesh beautifully with the band's trademark style, from Walker's mellifluous chords, to spellbinding percussion, violin, and kowala. The band do struggle to maintain the momentum during the second half, as the brooding "Black Moon", the dull "Pleasures of the Flesh", and the oddly pop-oriented "Jana" venture more into simpler rock territory, and consequently feel out of place with the rest of the record. However, the band do redeem themselves on "Labyrinth", the chaotic "Whiteout", and the trancelike "Mathematics of Chaos", as Youth seems to take the helm, showcasing his production wizardry. 1996's Democracy, on the other hand, goes in a more introspective, almost sedate direction, largely inspired by Coleman's sojourn in Arizona following the tour in support of Pandemonium. The aftermath of a lengthy battle with depression, the resulting album is startlingly optimistic, as an invigorated Coleman sounds reborn. "I am forced to a decision/I am forced to see the other side," he says, declaring, "I can see a way out of here." Obviously enamoured with American indigenous spirituality, Coleman brims with utopian visions instead of the usual piss and vinegar, and Youth is with him every step of the way, crafting a more upbeat, straightforward rock backdrop. The trouble is, the band sounds watered down as a result. Most noticeably, the acoustic guitar-driven title track sounds limp, the Joke a shadow of their former selves, and much of the rest of the album tends to sleepwalk in the same way. The weak arrangements on "Savage Freedom" and "Medicine Wheel" are fortunately rescued by Coleman's impassioned vocals, while the muddy mix on the otherwise decent "Absent Friends" is especially distracting, even on the newly remastered version. The band do get it right on several occasions, firstly on the fiery "Another Bloody Election", an odd fit compared to the more positive themes on the album, but it's reassuring to know that the band had not been sapped of all their venom. The dark, murky "Prozac People" is a very effective portrait of Coleman's 18-month experience with the drug, but it's the spectacular, eight minute "Aeon" where Killing Joke fully redeem themselves, a thrilling, grandiose blend of their mid-'80s sound with their more (then) contemporary '90s style, arguably one of the best tracks they've ever recorded. The bonus tracks on both reissues are a decidedly mixed bag; Pandemonium comes with a lengthy dub remix of "Pandemonium", as well as the B-side "Another Cult Goes Down (Portobello Mix)", from the "Exorcism" single, while Democracy is appended by a tediously long remix of the title track. While they sound interesting for the first few listens, none of the remixes are essential, just serving as filler in an effort to throw fans a bone. After Democracy, it would be another seven years before Killing Joke would reconvene, this time, with an ace drummer in Dave Grohl recording with them, marking a welcome return to the swagger that made them so great in the first place. While neither Pandemonium nor Democracy are essential albums for the casual listener, they're not complete wastes of time either, a couple of fascinating chapters in the band's long evolution. But if you're going to choose only one of the two, go with Pandemonium.